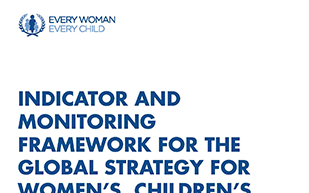 WHO and H6 partners will annually update data on the Global Strategy monitoring framework. This serves as an input to country-led implementation and monitoring, multi-stakeholder support and mutual accountability for progress on the Global Strategy. Download the Global Strategy Indicator & Monitoring Framework.